Dependable, skilled, professional contractor service referrals for households. Every homeowner needs the services of a qualified professional for everyday tasks or special needs. Their largest problem that they face is "Where can I find a good qualified professional contractor?". 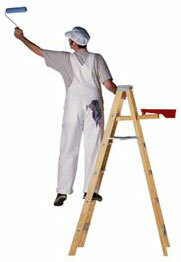 At Home Improvement Remedies, we have collected an elite list of licensed, insured and screened service contractors. We take the "guess work" out of selecting a qualified contractor. Best of all, our service to you is FREE! There is NEVER a charge for our services. Please check out the broad range of Services we provide.